Worms can have up to 5 hearts, depending on the type of worm. They use teeny tiny hairs to crawl- try looking for them with a magnifying glass. They don't have eyes but their front end is more sensitive to light than their tail. The longest earthworm ever found was 6.7m long. Relatively speaking a worm is 1000 times as strong as us. Worms breathe through their skin. That's why they come to the soil surface after rain- if they stayed underground they would drown. The sticky slime they produce helps them move through the soil. If they dry out they can't breathe. A worm chopped half doesn't become 2 worms. Just the head end will make a new tail. The tail end dies. Lots of other animals eat earthworms in the wild. Toads, foxes, moles, birds, snakes, slugs, and beetles do. Even some people eat worms (populations from China and New Zealand do). Wow, it's tricky being a worm, isn't it?! 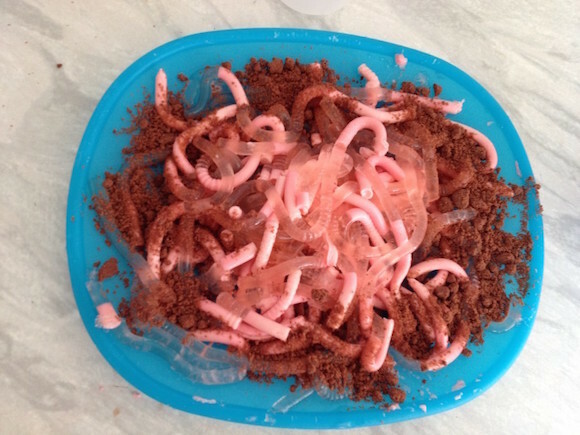 I'd rather eat these jelly worms than real worms! A really clever man, who found out lots of cool facts about animals and nature, named Charles Darwin, called earthworms "natures plough". That's because they mix up the soil with their burrowing. Whilst they burrow they eat decaying plants and then create worm poo (called casts). This is tiny and easily breaks down into the soil to give it lots of nutrients. Then bacteria and fungi feed on the poo (yuck!) and release the nutrients into the soil for new plants to use to grow. 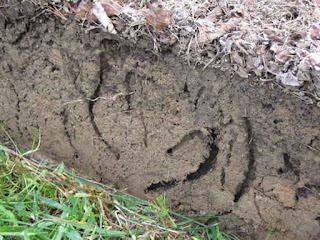 So by burrowing, the worms make nutrients available all through the soil and not just on top. 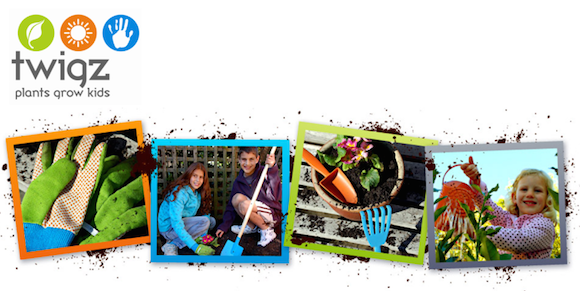 Even more helpful in the garden, worms don't eat living plants, they have to be already dead and decaying. They are hard workers, one acre of worms can contain 1 million worms and they can break down about 50 tonnes of soil. 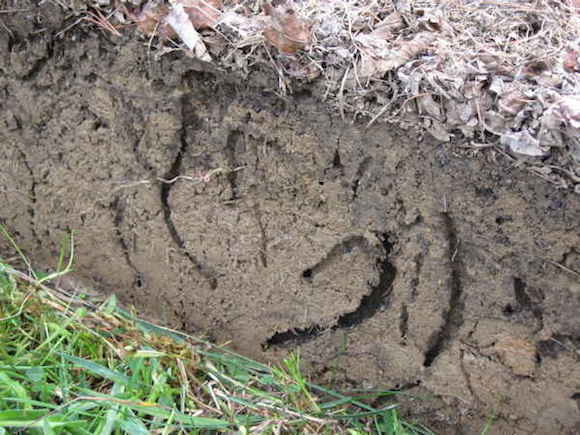 Worm tunnels also help to hold soils in place and stop water erosion. 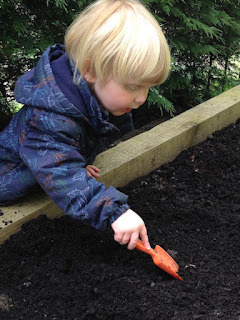 Gently and carefully collect some worms from you garden. The best time to collect worms is after a heavy rain fall as they will come up to the surface. They are normally easy to find in shady spots below shrubs or stones. 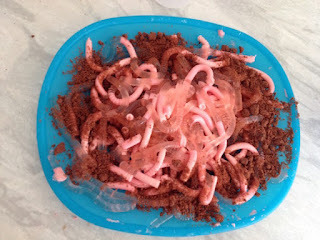 I found it easy to find and gather worms using my fab Twigz garden tools. They're not just perfect for growing veg but also for all the important garden jobs I need to show Mummy how to do! 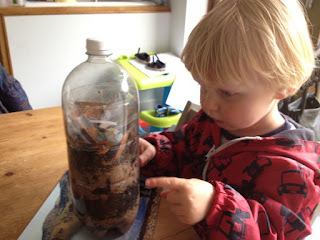 Fill the bottle with a layer of sand then soil then sand then soil, then sand, soil, sand, soil. Add a few worms to the top and watch them burrow down. Add food to the top (I used potato and carrot peelings and damp shredded newspaper) and wash your hands. 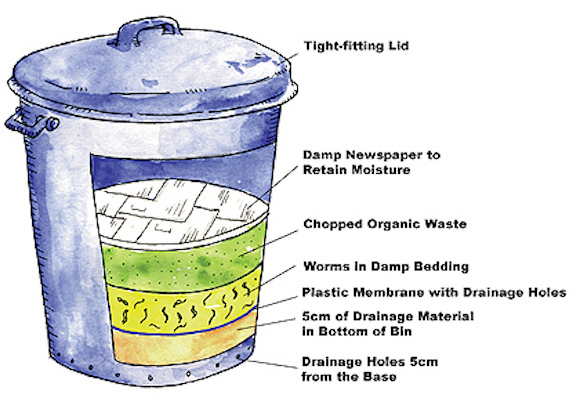 This temporary wormery is different from a composting wormery. Special worms that live above the ground in piles of decaying leaves/other garden waste are needed for that, not earthworms. If you keep them in a wormery the worms digest your kitchen and garden waste into a wonderful compost in around 3-6 months. Composting worms like to eat: coffee grounds and tea bags, fruit and vegetables peelings, cereals and bread, crushed egg shells. Composting worms don’t like: onions, citrus fruits, meat and fish, fats or greasy foods, dairy products, rice, pasta or cooked potatoes. Worms don't like to be too cold and eat more when they are warmer. Don’t leave them in direct sunlight though or they will get too hot. It's best to keep your composting wormery in a garage or shed in the winter. Make sure they stay moist but don't make it too wet. You can add rainwater or dry bedding if you need to. They will sort out their own numbers and shouldn't try to escape if wormery conditions are right. Find out more on worm composting here. So next time you find Wiggly Woo or one of his friends in your garden, be happy as it's great to know you've got some help in the garden.